NEW YORK, New York, February 11, 2013 (ENS) – The Northeastern and Mid-Atlantic states in the Regional Greenhouse Gas Initiative, RGGI, have proposed to reduce the 2014 regional emissions budget of carbon dioxide, CO2, by 45 percent. This means power plants in the nine-state region would be allowed to emit a total of 91 million tons of carbon dioxide in 2014, down from the 165 million tons now permitted. The nation’s first market-based regulatory program to reduce greenhouse gas emissions, RGGI is a five-year-old cooperative effort among the states of: Connecticut, Delaware, Maine, Maryland, Massachusetts, New Hampshire, New York, Rhode Island, and Vermont. Together, these states have capped and will reduce CO2 emissions from the power sector at least 10 percent by 2018. If the proposed changes are adopted, RGGI executives say that by 2020 emissions will be more than 45 percent below 2005 levels. The new cap is projected to have minimal net impact to consumer’s electricity bills. Overall, the average electricity bill for residential, commercial and industrial customers is projected to increase by less than one percent. RGGI is composed of individual CO2 budget trading programs in each state, based on each state’s independent legal authority. A CO2 allowance, issued by a state, represents authorization to emit one short ton of CO2. The RGGI sets the emissions budget, known as the RGGI cap. States sell nearly all emission allowances through auctions and invest proceeds in consumer benefits – energy efficiency, renewable energy, and other clean energy technologies. A regulated power plant must hold CO2 allowances equal to its emissions to demonstrate compliance at the end of each three-year control period. RGGI’s second control period began on January 1, 2012 and extends through December 31, 2014. The proposed reduction in the 2014 CO2 budget follows a comprehensive two-year RGGI program review during which the RGGI states convened stakeholder meetings, webinars and learning sessions. “Regulated companies, nonprofits, consumer, and industry organizations have provided invaluable feedback throughout the two-year program review process to date,” said David Littell, a commissioner of the Maine Public Utilities Commission and vice-chair of RGGI, Inc. Board of Directors. “With their input, we make today’s changes and project that by 2020 emissions will be more than 45 percent below 2005 levels,” he said. 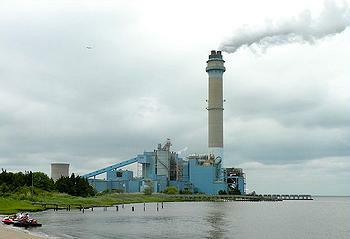 RGGI also proposed that the cap would decline 2.5 percent each year from 2015 to 2020. “Over the past five years, the RGGI states have demonstrated that a market-based program that spurs investments in energy efficiency and low-emission electric generation can simultaneously achieve the goals of cleaner, cheaper, and more reliable energy,” said Collin O’Mara, secretary of the Delaware Department of Natural Resources and environmental control and chair of the RGGI, Inc. Board of Directors. “Today, we are taking another significant step forward in realizing our common goal of reducing carbon emissions, driving energy efficiency investments, accelerating clean energy deployment, and providing economic benefits to the region’s businesses and families,” O’Mara said releasing the new proposals Thursday. Joe Martens, New York State Commissioner of Environmental Conservation, said he has the support of the Cuomo Administration in this effort to reduce greenhouse gas emissions. “New York is compounding the return on emission reductions by investing our auction proceeds in clean and efficient energy, innovative carbon reduction technologies, and community climate protection, while creating jobs for New Yorkers in the process,” he said. The RGGI’s Updated Model Rule and Program Review Recommendations are based, in part, on an independent report by the Analysis Group, which found that the investment of RGGI proceeds from the first three years is on track to generate a total of $1.6 billion in net economic benefit region-wide through the end of the decade. The RGGI is putting $1.1 billion in electricity bill savings back into the pockets of consumers in the region over the next decade, the report found. In addition, RGGI is creating 16,000 job-years in the region and keeping $765 million in the local economy due to reduced fossil fuel demand. “The Adirondack Council congratulates the nine Northeast states participating in the Regional Greenhouse Gas Initiative for setting a new, much lower cap for emissions of carbon from their power plants,” said Diane Fish, acting executive director of the Adirondack Council, the only environmental organization in United States to participate in the RGGI auctions. “We hope that this will increase the price of carbon allowances and further encourage the region’s power plants to reduce carbon emissions rather than purchase allowances,” said Fish. The Adirondack Council purchases allowances at the auctions and then withholds them from the market, so power plants can’t obtain or use them. The public can participate in this “pollution retirement” effort through the Council’s Cool Park/Healthy Planet Program at: www.adirondackcouncil.org. The RGGI is proposing to do the same by not reoffering unsold CO2 allowances initially auctioned in 2012 and 2013. 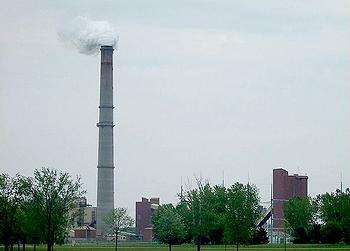 The RGGI says the proposed changes would reduce projected 2020 power sector CO2 pollution more than 45 percent below 2005 levels. They would preserve the reductions that have already occurred in power sector CO2 emissions, and drive further reductions. The new RGGI cap is projected to generate 80 to 90 million tons of cumulative emission reductions by 2020, when compared to the current RGGI program, and annual emissions in 2020 are projected to be 14 to 20 million tons lower than they would be otherwise. The new cap is expected to result in a modest increase in allowance prices, with allowances expected to be priced at about $4 (in 2010 dollars) per allowance in 2014 and rising to about $10 ($2010) per allowance in 2020. At the same time, the new cap is projected to generate an additional $2.2 billion ($2010) for reinvestment. With the release of the Updated Model Rule, the RGGI states now plan to revise their CO2 Budget Trading Programs through their individual state-specific statutory and regulatory processes so that the proposed changes to the program would take effect on January 1, 2014.